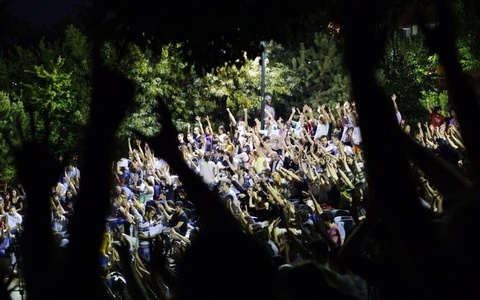 Right after the #OccupyGezi movement was ‘evicted’ from Taksim Square’s infamous Gezi Park on 15 June, thousands of people began to gather together in neighborhood forums to discuss the local and national issues directly affecting their lives. Every evening people from all walks of life come to parks around nine in the evening to take the stage. They discuss what will happen next in a country trying to make sense of perhaps the most significant wave of social protests in its modern history. 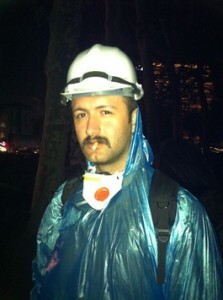 Rıdvan Salih, a 26-year-old electronics engineer, identifies himself as a denizen of both Yoğurtçu Park (in Kadıköy, the Asian side of Istanbul) and Abbasağa Park (in Besiktas, south of Taksim). ‘It feels like navigating between Athens and Sparta,’ he says, referring to the practice of direct democracy in these parks. Salih believes that these forums, which are organised organically, have reignited the ‘Gezi spirit’, the leitmotif that you can hear from almost all of the participants in the parks. So what does this spirit mean? ‘Imagine hundreds of people quietly settled in their tents and then suddenly being tear-gassed heavily,’ he says, ’escaping in the dead of night, but still crying out to each other to not trample the flowers in the park whilst they flee to safety,’ he replies. There are more than 85 park forums across Turkey, but the exact number is still difficult to estimate since each day new forums emerge even as a few disappear. In addition to a daily agenda, each forum has its own action units, programmes and workshops. All of them are decided based on each group’s needs. They are organised democratically in terms of content. İlayda Aktüre of Maçka forum (in the upmarket Nişantaşı district – ed) explains how her group dedicated one forum exclusively to the constitutional debate. This concerns the new political process on which parliament has been working to reach a consensus for the draft of a new constitution. Under the darkening sky, the crowd does not seem to want to conclude a lively discussion on the upcoming local elections, to be held in March 2014. As night sets in, the group gathers around the faint glow of a street lamp. As in most of the forums, participants at Cihangir Park, in an upmarket part of the city near Taskim, discuss whether to nominate a candidate who would represent the will of all park forums in the upcoming election. ’Whoever he or she is, we should establish a mechanism that makes that candidate accountable to us,’ says Ahmet Saymadı, an activist. He believes that the success of the forums derives from the absence of any political authority that can overshadow them. Coşkun Alkan, a bank employee, explains the importance of engaging people who didn’t attend the Gezi protests. ‘Those who are being exposed to the heavy media misinformation during the resistance think that we are vandals,’ he says. ‘We should show them we are not.’ After speaking at forums in Cihangir and Levent (the business area of Istanbul, in Besiktas – ed), Abbasağa Park is his third stop. ‘Have you ever seen nationalists marching side by side with Kurds to protest against something before Gezi?’ he says. ‘You couldn’t have! It was a historic moment when thousands of Kurds and Turks across the country shouted together against police violence in Lice.’ Alkan is referring to the day when an 18-year-old died during the riots, while people were protesting the building of a police outpost in Diyarbakır, south-eastern Turkey, which has a prominent Kurdish population. Social media, which has been used for information exchange during the protests, is still the most important tool in the post-Gezi period. With widespread censorship in the mainstream media, forums are being followed through twitter. A dedicated page called ‘parks are ours’ (‘Parklar Bizim‘) has more than 10, 000 followers on facebook, and is updated regularly by volunteer teams from each forum. Açık Demokrasi (‘open democracy’) is a new initiative which aims to reflect the offline discussion at park forums via an online platform. Topics such as reducing the election threshold – 10% in Turkey, usually seen as the major obstacle to fair representation in parliament – or bolstering freedom of speech in the country, are just two examples on which most people have commented. İlkay Bilgiç, a Turkish civil cervant, believes that forums are egalitarian, self-regulatory bodies that activate more democratic processes in which newly empowered citizens will transform local and national mechanisms. ‘A new understanding has emerged here: that political demands should be fulfilled by the authority of the people, instead of people waiting for their demands to be carried out by the current authority,’ she says. There is an almost palpable sense of optimism in the air at ’park forums’. 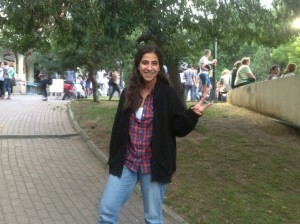 This entry was posted in About the Forums, News and tagged Gezi Park, Public Forums on 2 August 2013 .